The Lexington Legends had a rare offensive outburst in an 18-9 win over Asheville. Both catcher Chris Wallace and designated hitter Telvin Nash each slugged three home runs. Wallace was 5-6 with nine RBI and four runs scored, and Nash was 5-6 with four RBI and four runs scored. The Louisville Bats returned to its winning ways with a 6-4, 13-inning victory over Indianapolis. Cincinnati Reds right-handed pitcher Homer Bailey surrendered two hits in five scoreless innings in a rehab appearance for the Bats. Second baseman Kris Negron was 3-5 with one double and two runs scored, and outfielder Brian Barton slugged a home run. The Bowling Green Hot Rods rallied for a 7-6 win over Lake County. Former UofL infielder Phil Wunderlich was 2-4 with one home run, one double, three RBI and one run scored. Left fielder Cody Rogers and second baseman Hector Guevara both homered. LCA alum Robbie Ross earned his first win of the season after surrendering four hits in six shutout innings while striking out four batters and walking three for high A Myrtle Beach. 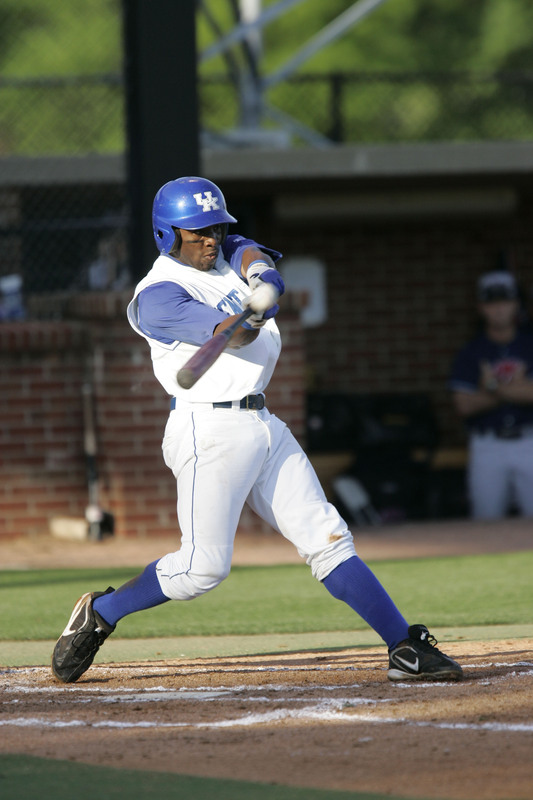 Lexington native and former UK outfielder John Shelby was 2-4 with one home run, one RBI and one run scored for AA Montgomery. Former UofL outfielder Josh Richmond was 2-4 with two doubles, two runs scored, one walk and one stolen base for low A Hickory. Former UofL first baseman Andrew Clark was 2-4 with one RBI, one walk and one run scored for low A Hickory. Hawesville native and former WKU infielder Wade Gaynor extended his hitting streak to six games with a single and two RBI for high A Lakeland. Paducah native Jonathan Roof slugged his first professional home run and scored twice for low A Hickory.